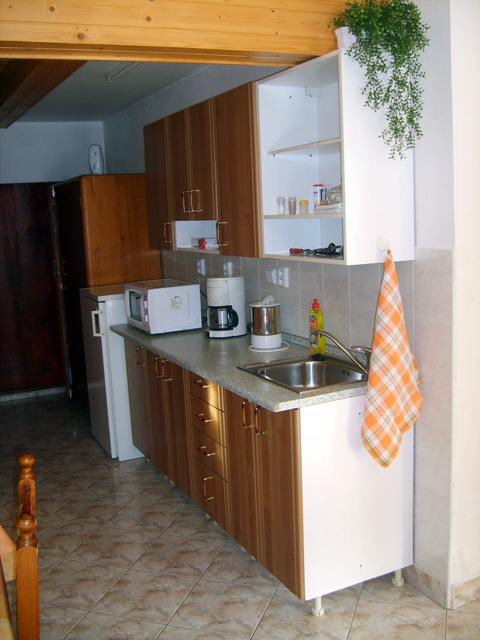 We offer two equipped kitchen units for guests who like preparing their own meals. Every day, we can provide you with fresh bread, rolls, cakes. Pension 48 is located on a southern slope of a quiet part of Svatý Petr valley with a spectacular view of Kozí Hřbety, Stoh and Pláně. You can find rest and beautiful nature just 15 minutes away from centre of sport and entertainment in Špindlerův Mlýn. With its great position the pension is perfect for lovers of winter sports, tourism of cycling. We protect nature and you! You don't have to use a car! From our pension you can ski right down to the ski areal Svatý Petr or Skiarena Stoh in five minutes! And you can get back by a ski lift Krakonoš or skibus! Just a while longer takes the journey to Ski Areal Medvědín + Mísečky or Labská. Centre of Špindlerův Mlýn is just 15 minutes of a nice walk away from our pension. You can use a snow-tubing with two great tracks which is just 100m away from our pension. You can keep your skis (bikes) in our storage room for free or for a small fee in a box in ski areal. For our guests we offer 2 fully equipped kitchens including fridge! There are several nice restaurants near the pension. Free Wi-Fi in the whole pension! Parking free. Copyright 2011. Ubytování Špindlerův Mlýn - Pension48.cz. Běží na CMS Drupal.